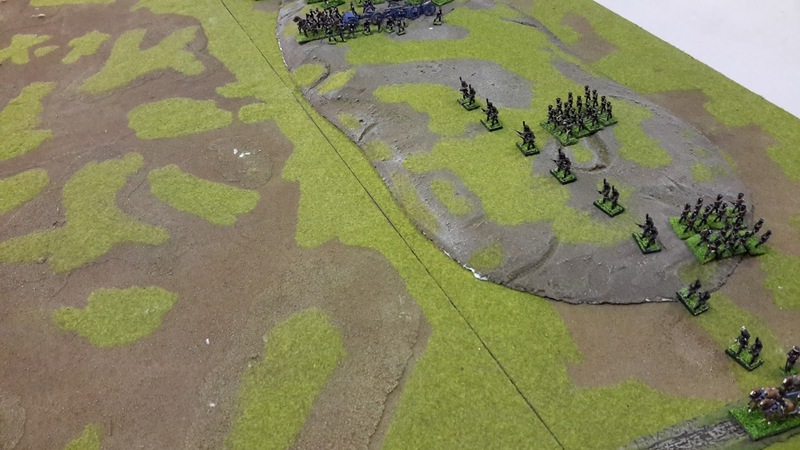 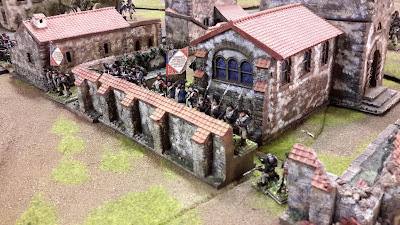 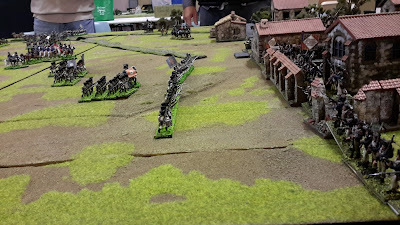 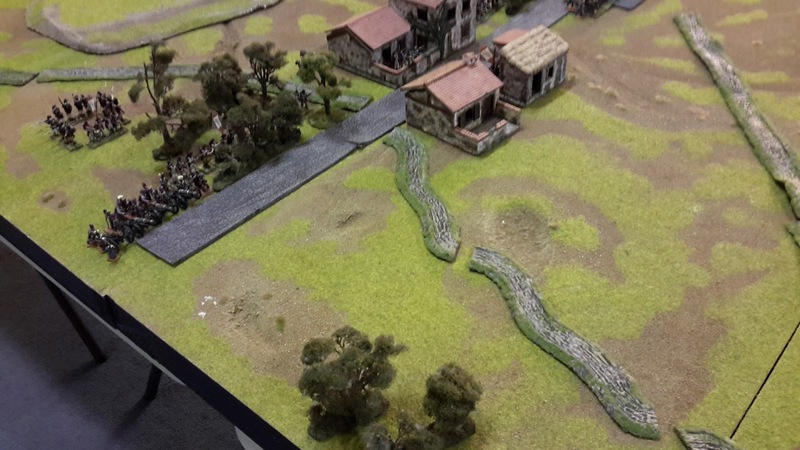 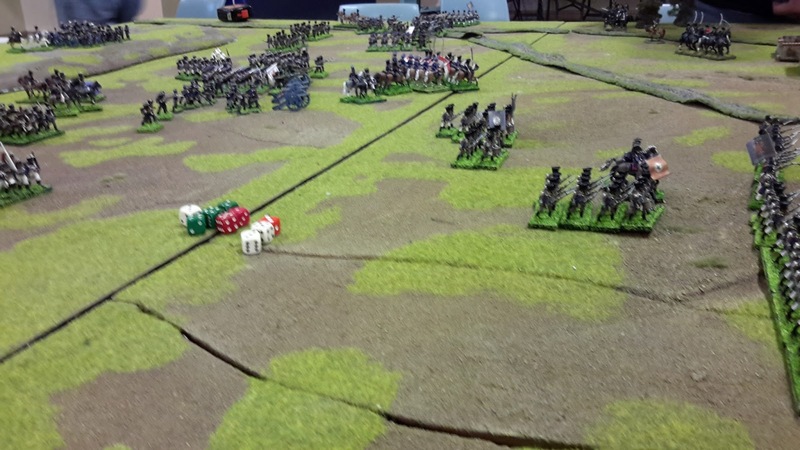 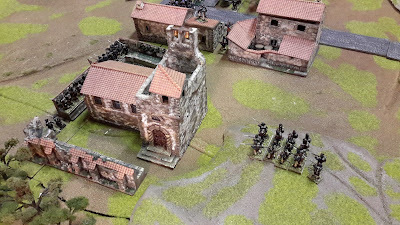 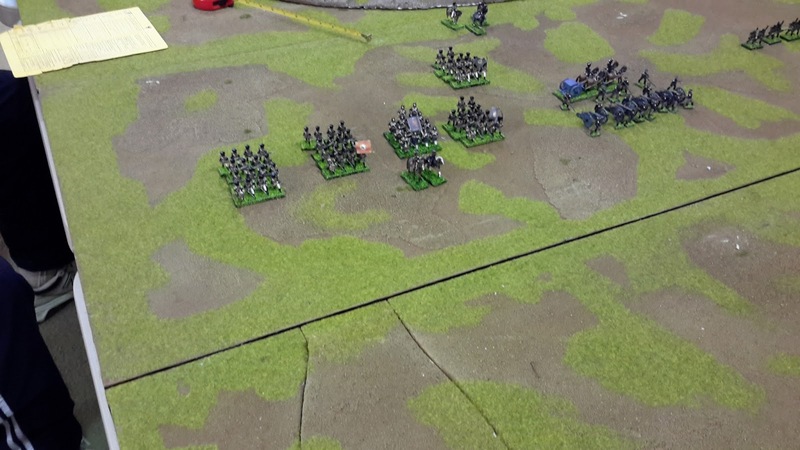 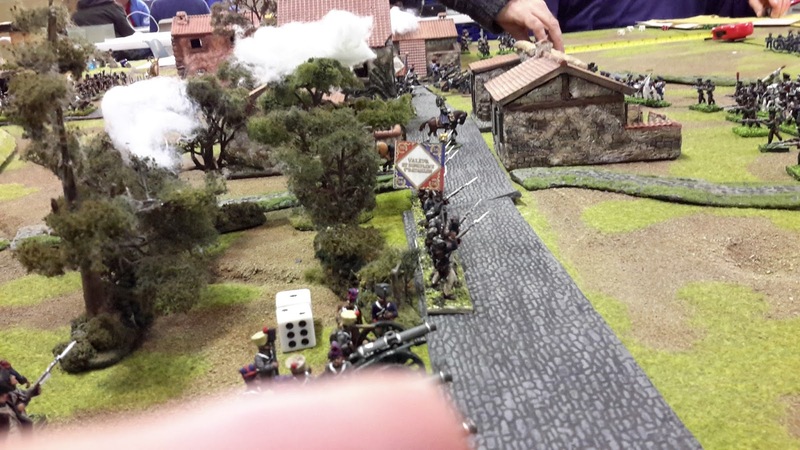 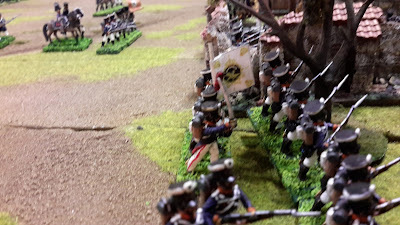 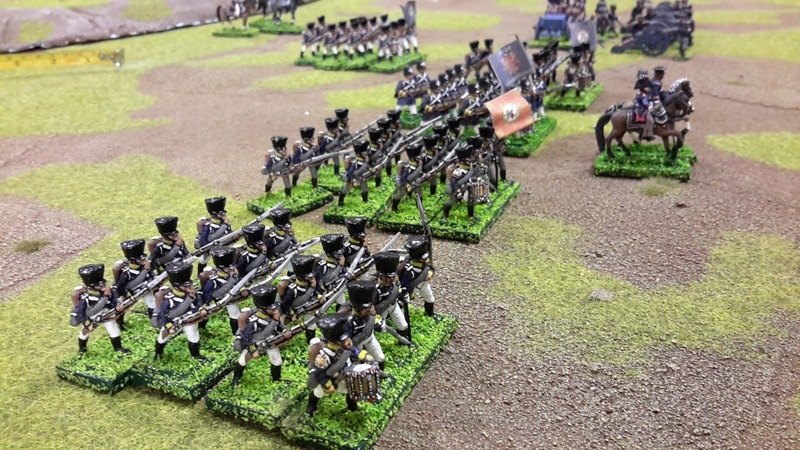 NSWC WRG Rules in 25mm. 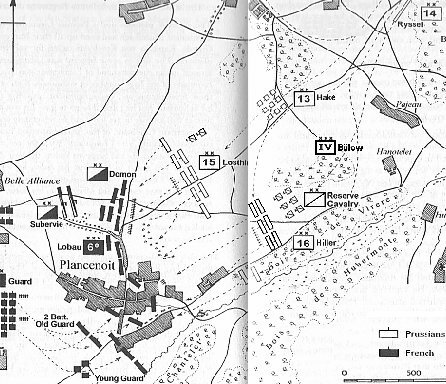 Plancenoit was a large cobblestone street village. 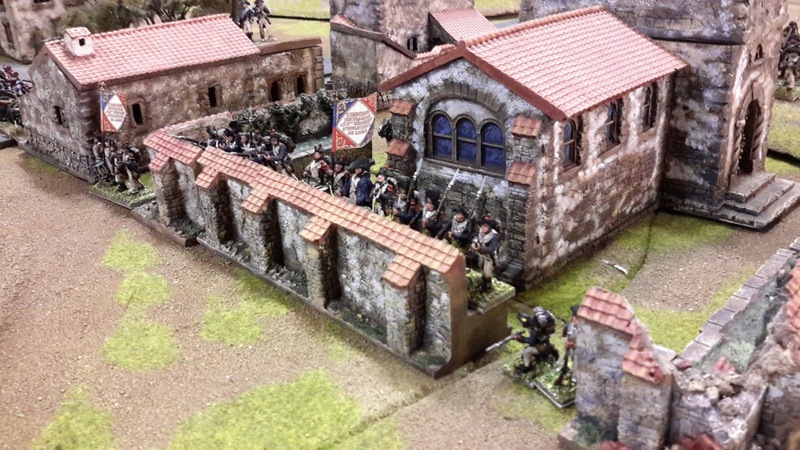 It had a good stone built church with the usual walled cemetery, which was good for defence and made the church the strong point of the French defences. 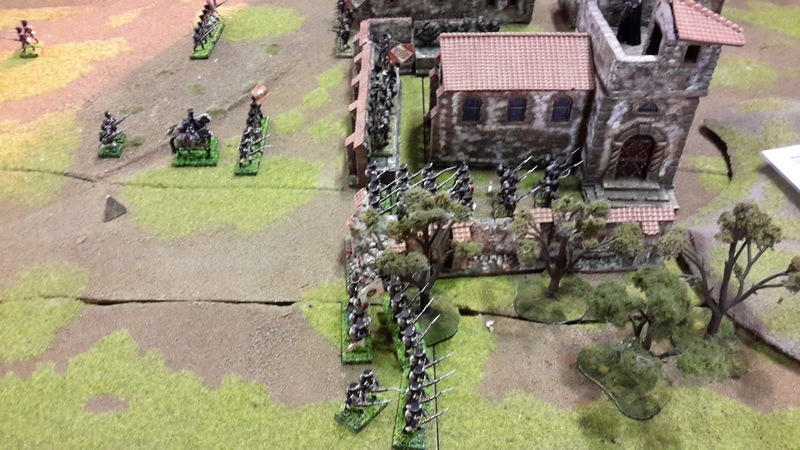 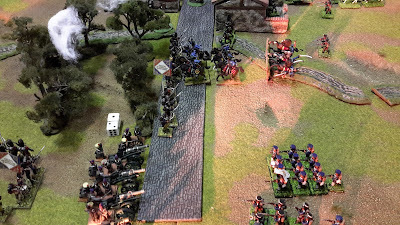 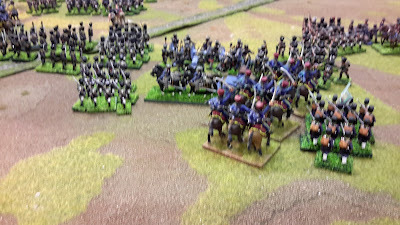 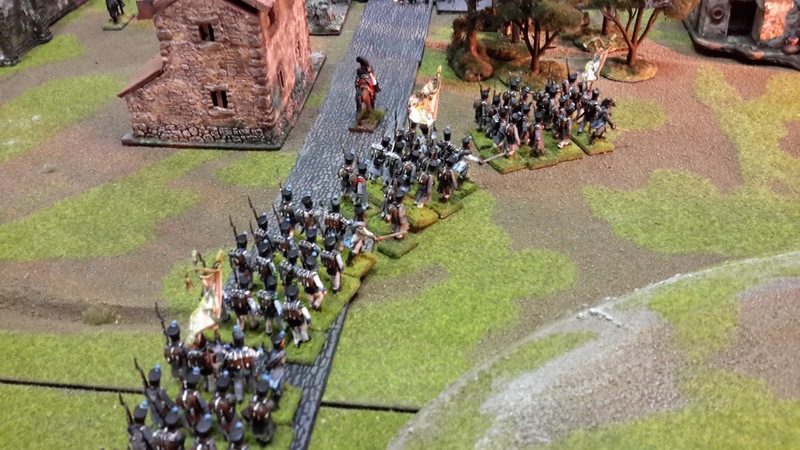 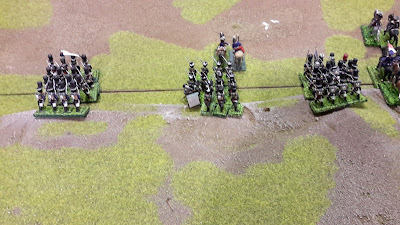 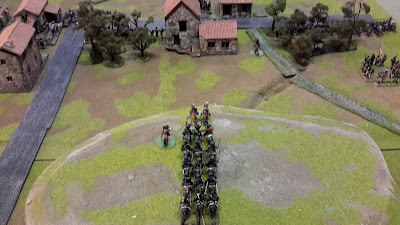 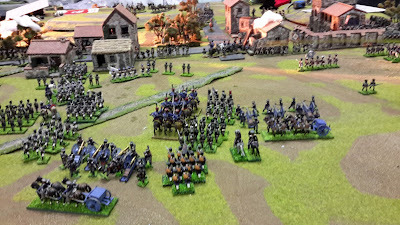 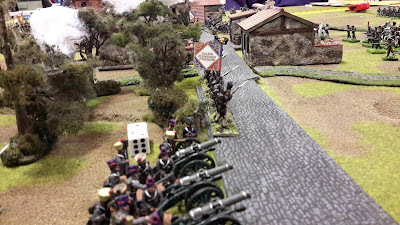 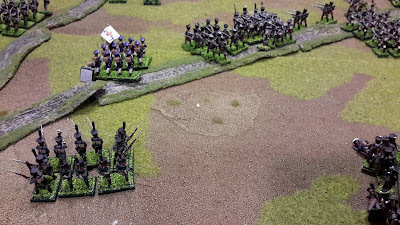 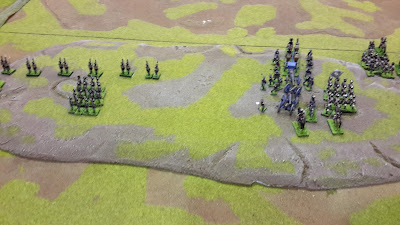 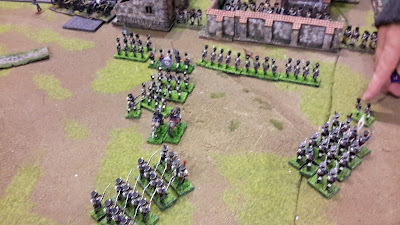 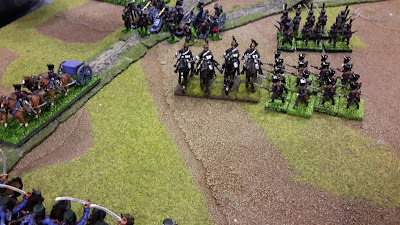 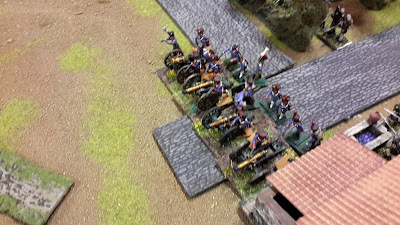 The Guard did arrive to bolster the French defence. 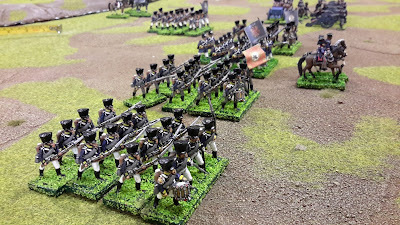 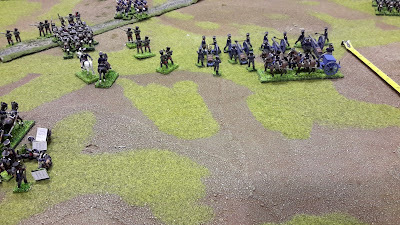 The Prussians had starting breaking through and there was another corps of Prussians the II Corps, arriving later in the day. 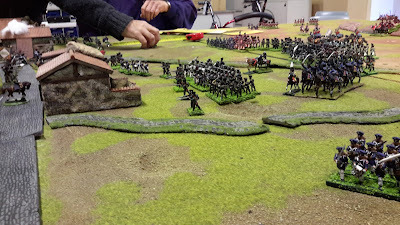 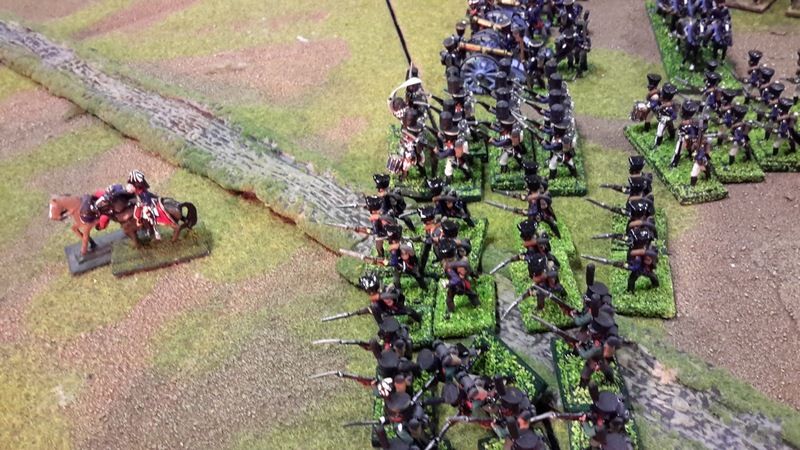 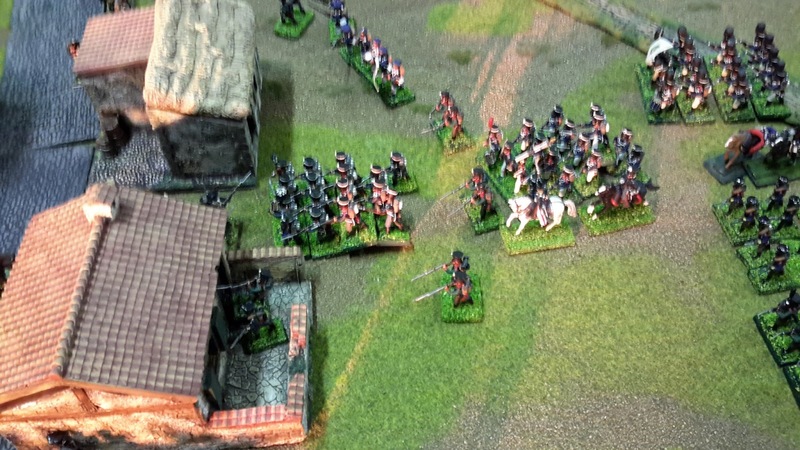 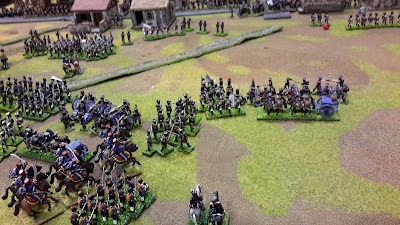 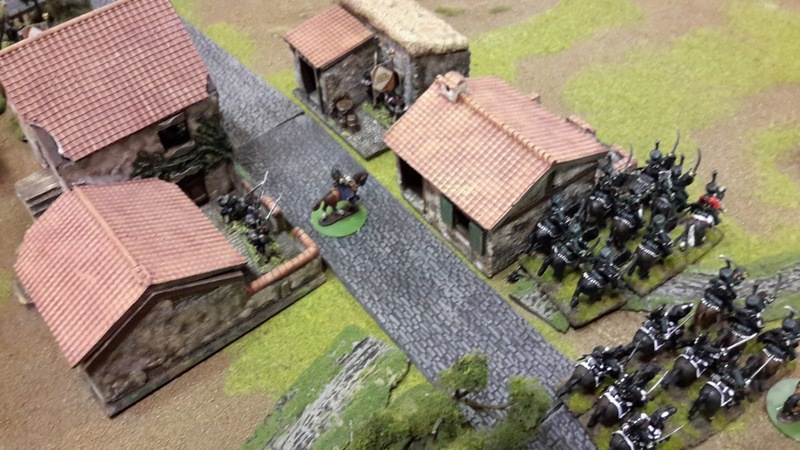 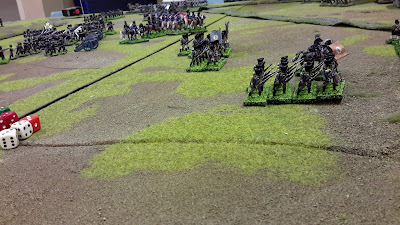 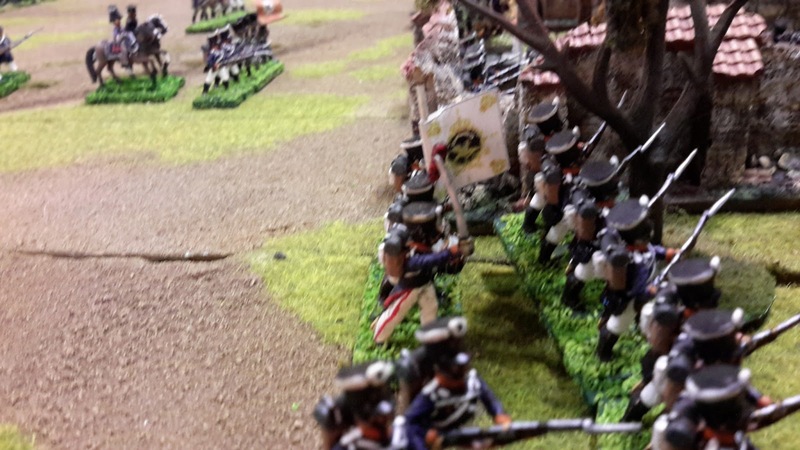 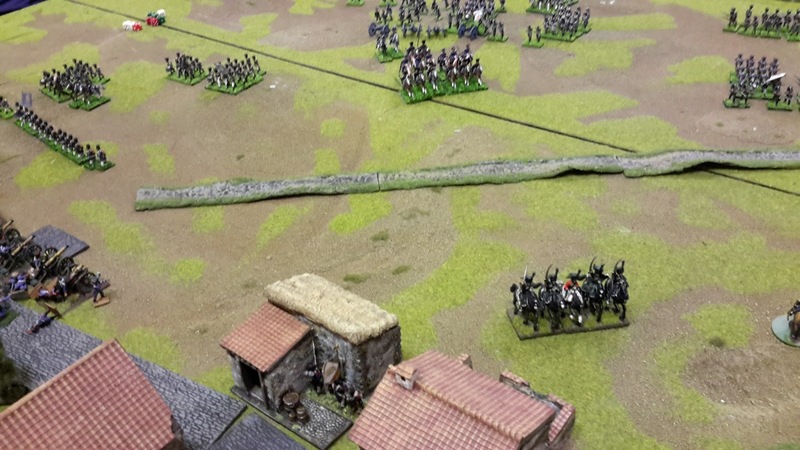 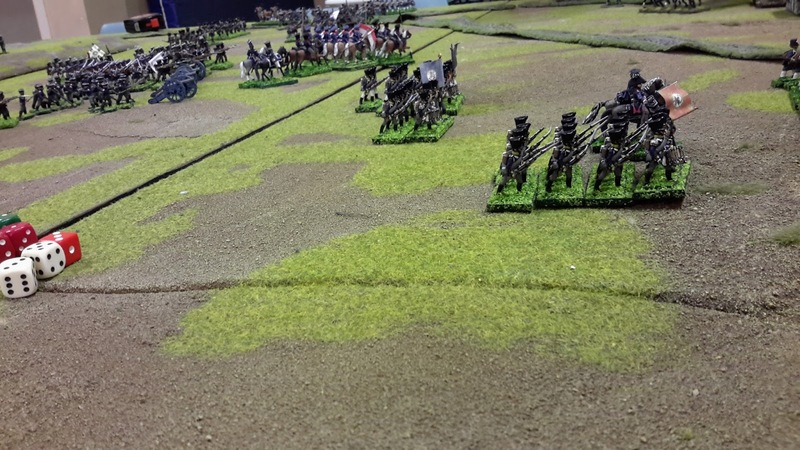 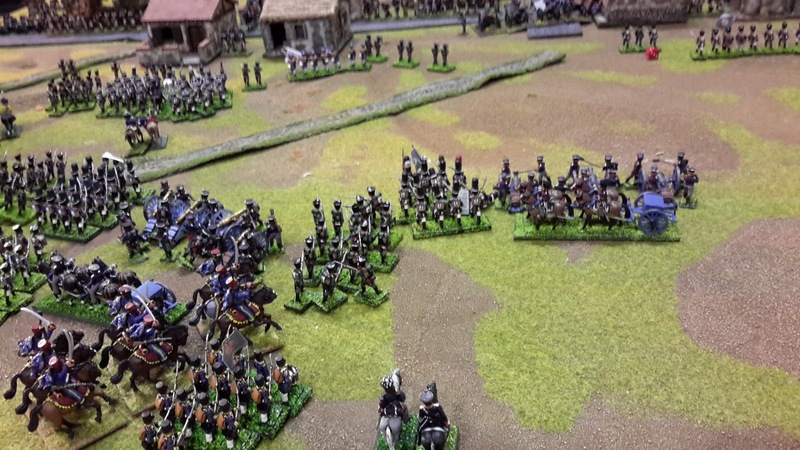 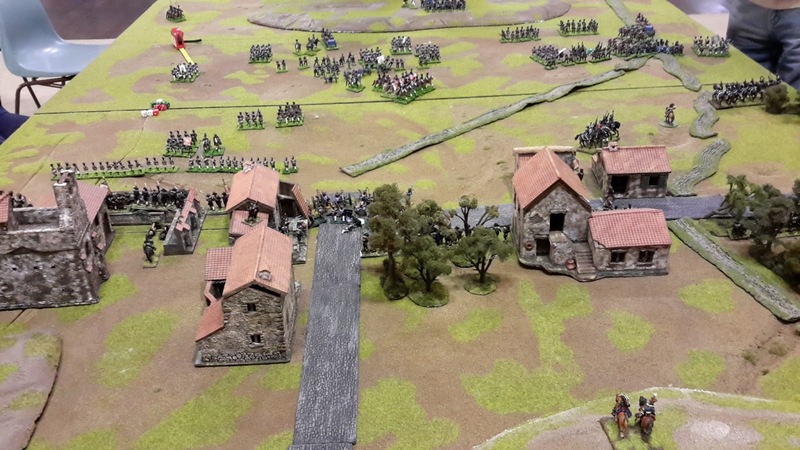 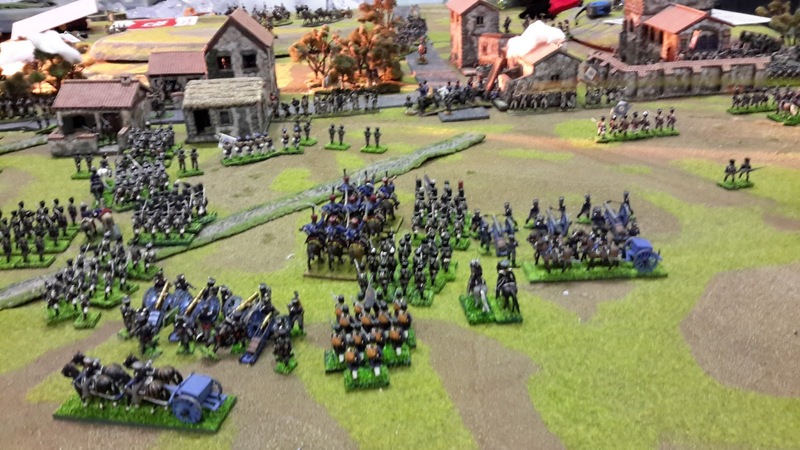 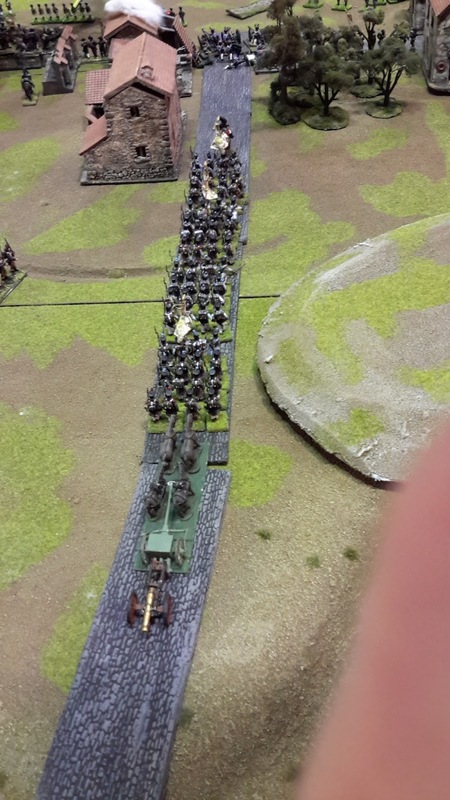 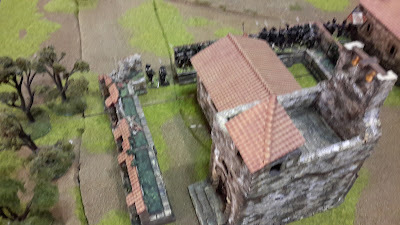 But the scenario called for the Prussians to break into Plancenoit and for the French to withdraw before the Imperial Guard arrived.